What's AI's Impact on ITIL? When ITIL was introduced in the 1980s, its goal was to create a set of best practices for the use of IT in government. Over the years, ITIL’s usage has broadened outside the sphere of government and is now utilized the world over to make IT departments more efficient and effective. Developments in technology have made these best practices easier to put in place than ever before. Specifically, AI has made help desks more efficient, more cost-effective, more customer-friendly, and it continually improves upon itself. Read on to learn more about the positive impact AI has had on ITIL. One of the principles of ITIL is to make help desks more efficient. AI can accomplish that goal in a couple of ways. For a start, AI can be used to optimize workflows. AI can determine which groups or individuals are best suited to handle particular requests or issues. It will then factor in availability and route tickets to those people. In addition, AI can accurately predict what resources will be needed, practically in real-time. Those resources could be people, service capacity, new hardware and software, or other resources. Imagine knowing that you can meet the challenges of a particularly busy period before the need even arises – you could be spared stress and hassle and instead, relax and enjoy peace of mind. There’s also the advantage that AI frees up employees’ time to deal with more pressing matters. Much of what IT service desk employees deal with on a daily basis is not overly challenging (think password requests). That being said, if those requests go unfulfilled, other employees can’t get their work done. When there are too many of these routine requests, IT sees a backlog. AI can help reduce that backlog by either solving the problem or giving users the tools to fix the issue themselves. Help desks can become more efficient as a result because employees can focus on mission-critical tasks such as security. How Can AI Make Help Desks More Cost-Effective? Another way in which AI improves services desks (and in turn, ITIL) is by making them more cost-effective. Help desk requests are an expensive part of IT operations. You have to factor in salaries and benefits for employees, salaries and benefits for indirect personnel (such as trainers, managers, and QA/QC staff), technology and telecom expenses, facilities expenses, and the cost of travel, training, and office supplies. Other costs include ticket handle time and agent utilization. The longer it takes to handle a ticket, the more that ticket will cost. And let’s say you don’t have enough staff to take care of those tickets, even if they’re not particularly complex. You’ll spend more money on help desk tickets as a result. What if you could lower the cost of help desk tickets without hiring more employees? AI allows you to do that. For a start, AI frees up help desk employees’ time. It provides self-service or chatbot capability so that end-users can find answers on their own instead of turning to IT for their problems. Let’s say a user can’t find the answer he or she needs in the knowledgebase or through the chatbot. The AI-enabled ITSM solution will hand off a service call to a help desk employee in that case. This setup accomplishes two goals: reducing the help desk backlog and allowing help desk employees to focus on mission-critical tasks such as security. Another benefit of AI-enabled ITSM is that it can handle a higher volume of requests than human help desk employees. Even if a human can handle more than one ticket at a time, an AI-enabled ITSM solution can take care of a significantly higher volume. AI has garnered quite a bit of attention, not all of it positive. One of the concerns AI has generated is that it can’t possibly provide better customer service than a human being. People enjoy working with other human beings, and besides, a computer can’t always understand what a customer wants or needs. Those concerns aren’t entirely rational. They don’t take into account that maybe people would actually prefer dealing with a machine over dealing with another human being. We’ll illustrate with an example. Jake needs to reset the password to log into an application he needs to do his job. So, he submits a ticket to the help desk. The waiting game begins. Jake isn’t the only one with a help desk ticket, and he’s most certainly not the only one who needs a password reset. By the time IT is able to get around to dealing with Jake’s request, two days have gone by – two days in which he’s been locked out of the application he needs, two days during which he’s been using an insecure workaround that puts the company at risk, and two days in which Jake has been growing ever more irritated at the help desk. Now, let’s look at how the situation would be different if Jake’s company used an AI-enabled ITSM solution. Such a solution would provide a self-service option, either through a chatbot or a knowledgebase. Jake would navigate to the knowledgebase or open a chatbot window and type in his request for a password reset. Jake could have his password reset in a matter of minutes. He can open up the application he needs and start working. There’s no waiting and no annoyance; rather, Jake is satisfied because he got the answer he needed quickly and is able to once again, be productive in his work. Let’s take a moment to address the other concern about AI being able to satisfy customers – a computer can’t understand a human the way another human can. This fear is based on the assumption that humans can always provide excellent customer service because they always comprehend exactly what the customer wants. The example above is proof that isn’t the case. Moreover, humans don’t always understand a customer’s complaint. Maybe there’s a language barrier, or perhaps the customer didn’t communicate the problem clearly or correctly. As a result, the problem won’t get solved quickly or to the customer’s satisfaction. Machine learning enables AI-enabled ITSM solutions to better satisfy customers. The term “machine learning” refers to computers’ ability to learn without being explicitly programmed. Thanks to machine learning, an ITSM solution could review previous similar tickets to quickly solve an end-user’s problem, delivering a faster and tidier resolution than a human might be able to achieve. As we mentioned previously, machine learning helps improve customer satisfaction. What allows machine learning to do that? Machine learning continues to learn from more data sets, so it’s always improving its ability to make connections and make better suggestions to users. Again, we’ll illustrate with an example. Let’s say your firm just implemented an AI-enabled ITSM solution. The solution will review previous tickets to learn what it should do in those situations and then apply that knowledge. The more tickets the AI-enabled ITSM solution receives, the better (and faster) it will be at finding solutions. Unlike humans, AI doesn’t get overwhelmed by more information; instead, it treats it as an opportunity to improve itself. Machine learning is AI’s secret weapon, in a sense. It allows AI to make help desks more efficient, more cost-effective, and to deliver better service because it’s constantly learning from previous interactions with end-users. Machine learning means AI will never rest on its laurels – it will always be striving to gain new knowledge from the data it consumes. ITIL was developed to change IT for the better. AI helps ITIL live up to that promise. To learn more, read the ebook 7 Reasons Why AI Will Change Everything on Your Service Desk. 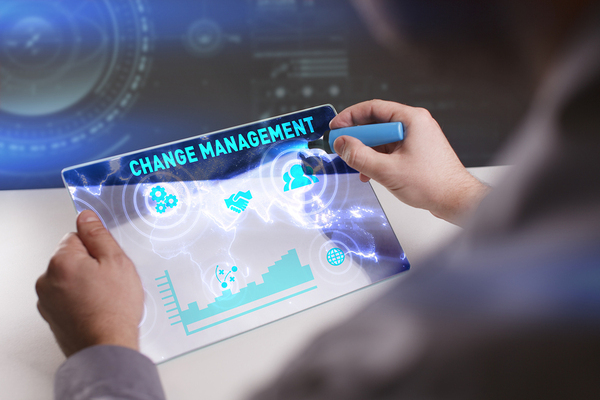 How Do You Take Control of Your Change Management Process?